Spring isn’t technically here yet, but the blooming buds and daffodils are out in full force. While blossoms are nice, and smell deliciously sweet, what I really want is a pretty pink (ball-like) dress to frolic around tall grass in. To show some skin, bare legs at least, that will mean it’s spring for me. This photo was taken a while back, and though you might be in shock at it’s kooky-ness, beware–it’s not a real dress. It’s pouffy and ridiculous, but that’s why I love it so. 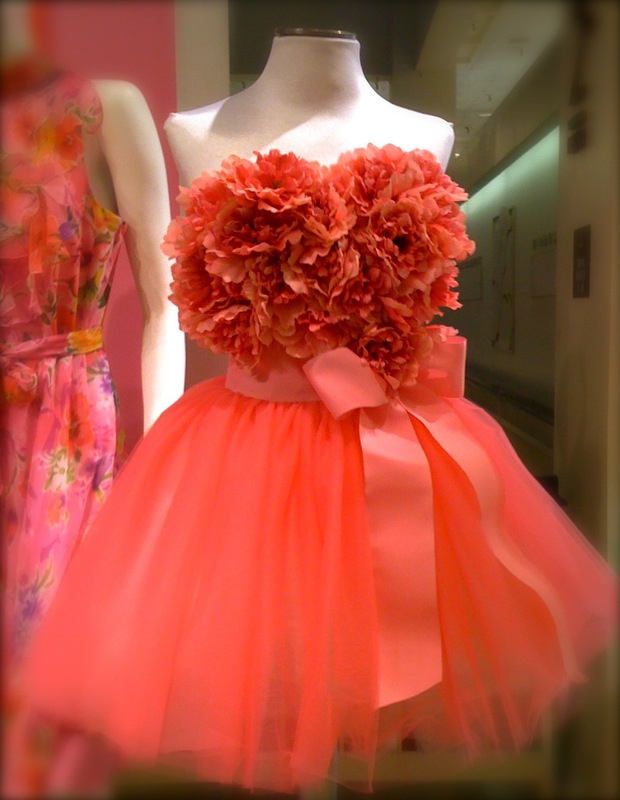 Give me some tulle, a big pink bow, and I’m happy. Still a little and (as I’ve proven) a big girl’s fantasy. Why do we (me) have these crazy cutesy fantasies … when we (I) know they’re so wrong.